We have some sad news to report. 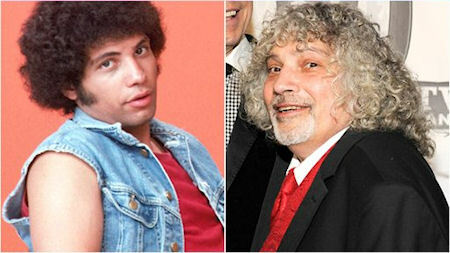 Actor Robert Hegyes, best known as high school student Juan Epstein on Welcome Back, Kotter, has died. Hegyes suffered from chest pains at his Metuchen, New Jersey home Thursday morning (January 26) and later died from an apparent heart attack at John F. Kennedy Medical Center in Edison, New Jersey. He had health problems in recent years, including a hip replacement and a heart attack. Mr. Hegyes was 60. His career began with stage work in New York both on and off Broadway. In 1975, he landed the role of Juan Luis Pedro Felipo de Huevos Epstein on Welcome Back, Kotter. 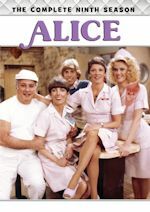 The show ran for 95 episodes over 4 seasons on ABC from 1975-79. He would later play undercover detective Manny Esposito on Cagney & Lacey. His other television guest appearances included The Streets of San Francisco, The Love Boat, Chico and the Man, CHiPs, Mr. Rhodes, NewsRadio, Diagnosis Murder and The Drew Carey Show. In his later years, he taught acting and screenplay writing classes at his alma mater, Rowan University. In 2011, he reunited with most of the cast members (except for Ron Palillo who was unable to attend due to recent surgery) of Welcome, Back Kotter for the show's 35th anniversary at the TV Land Awards. Hegyes is survived by three siblings, Mark, Stephanie and Elizabeth, two children, Cassie and Mack, and two stepchildren, Sophia and Alex. Unfortunately, there are no stations currently airing Welcome Back, Kotter. 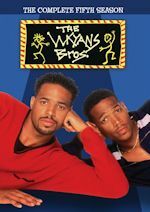 Only a single volume and the complete first season have been released on DVD. This is a show that would be great for original and new generations of fans to see more episodes available. We thank him for playing such a memorable character and bringing us many laughs. He will be deeply missed. Our friends at Just My Show interviewed him in 2007. What are your favorite Juan Epstein moments? Discuss them on our Welcome Back, Kotter message board. 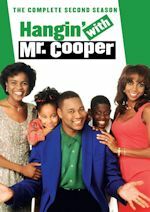 For the week of January 30 - February 3, 2012, we have many current sitcom stars and past sitcom stars on TV talk shows! All times listed are Eastern. So get your DVR's (or whatever you use) ready! Ready? Here is all what you need to know for the coming week! Rob Schneider (Rob/Men Behaving Badly) - Watch Rob on The Late Show with David Letterman at 11:35pm on CBS. Neil Patrick Harris (How I Met Your Mother/Doogie Howser, M.D.) - Neil appears on The Talk on CBS at 2pm ET/1pm CT-PT. Maya Rudolph (Up All Night) - Maya stops by Conan at 11pm on TBS. Wanda Sykes (The New Adventures of Old Christine/Wanda at Large) - Wanda is a guest on Chelsea Lately on E! at 11pm. John Krasinksi (The Office) - John visits The Ellen DeGeneres Show, so check listings. Big Miracle opens in theaters February 3. John Stamos (Full House/Jake in Progress) - John chats with the ladies of The View on ABC at 11am ET/10am CT-PT. Kunal Nayyar and Simon Helberg (The Big Bang Theory) - Kunal and Simon visit The Talk on CBS at 2pm ET/1pm CT-PT. Simon will also be on Conan at 11pm on TBS. Jenny McCarthy (Jenny) - Jenny is a guest on Chelsea Lately on E! at 11pm. Sherri Shepherd (Less Than Perfect) - Sherri appears on Rachael Ray, so check your local listings. John Krasinksi (The Office) - Watch John on Jimmy Kimmel Live! at 12am on ABC. Woody Harrelson (Cheers) - Catch Woody on The Late Show with David Letterman at 11:35pm on CBS. Lisa Kudrow (Friends - Lisa chats with the ladies of The View on ABC at 11am ET/10am CT-PT. 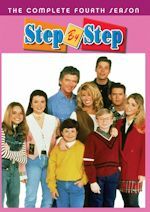 John Stamos (Full House/Jake in Progress) - John continues to make the rounds on The Talk on CBS at 2pm ET/1pm CT-PT. Debra Messing (Will & Grace) - Watch Debra on The Tonight Show with Jay Leno at 11:35pm on NBC. John Krasinski (The Office) - John wraps up his appearances this week on Conan at 11pm on TBS. Melissa McCarthy (Mike & Molly) - Melissa appears on ABC's Good Morning America between 7-9am.